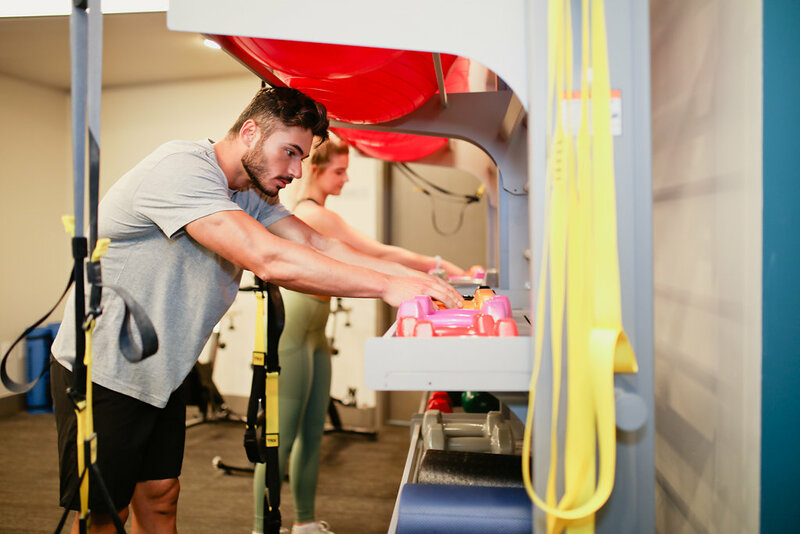 Residents can ditch their gym memberships once they move into 985 High at The Castle, where they have access to fitness classes through Fitness on Demand, an innovative digital platform providing 24/7 virtual workout classes. Fitness on Demand is offered in the building’s third-floor fitness center. Residents can walk in and instantly begin a workout on their schedule, using a self-service digital kiosk to choose from among more than 350 classes. Fitness classes can be filtered by difficulty level, duration and category. 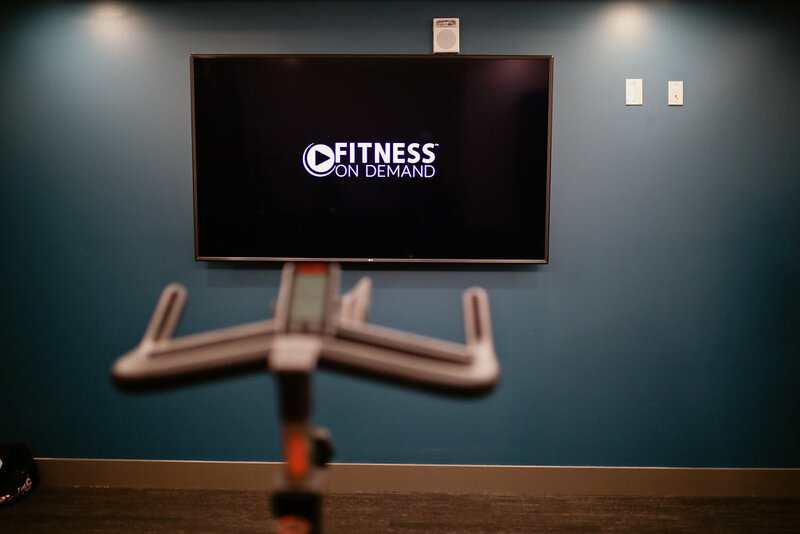 Classes are streamed on an 80-inch TV screen, transforming the space into a virtual fitness studio. Residents can use their key fobs to access the fitness center 24 hours a day. Fitness on Demand classes are available on a first-come, first-served basis. Borror has outfitted the fitness center with exercise equipment including elliptical machines, rowing machines and exercise bikes, plus TRX bands, yoga mats, weights and exercise balls. Residents can use the Fitness on Demand app on their smartphone to track performance, including workouts completed and calories burned. 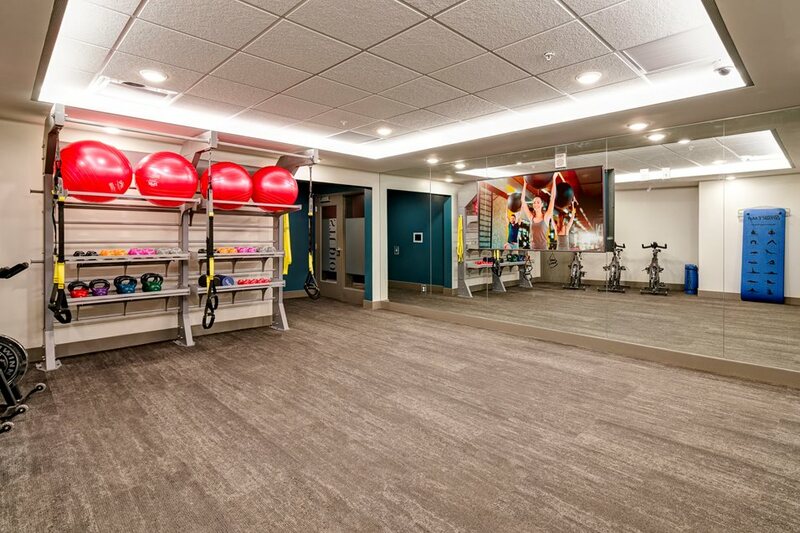 Residents have definitely been taking advantage of the flexible scheduling, and often utilize Fitness on Demand well outside the typical gym hours. “We have some residents who are late-night people, and others who will work out really early in the morning,” Steiner says.